Stealing from one of my favorite blogs, Ironic Sans, I want to post an idea here. Like many of the pencil-toting hybrids of lo-fi and hi-fi people out there, I often find myself with my iPhone, scanning emails, and making lists on a pad of paper with my pencil. Sometimes I’m also doing this one-handed, while the other one is holding a mug of coffee or a computer mouse. Wouldn’t it be great if I could use the eraser on my pencil to flip around on my iPhone? If I have a resistive touch screen, that wouldn’t be a problem. 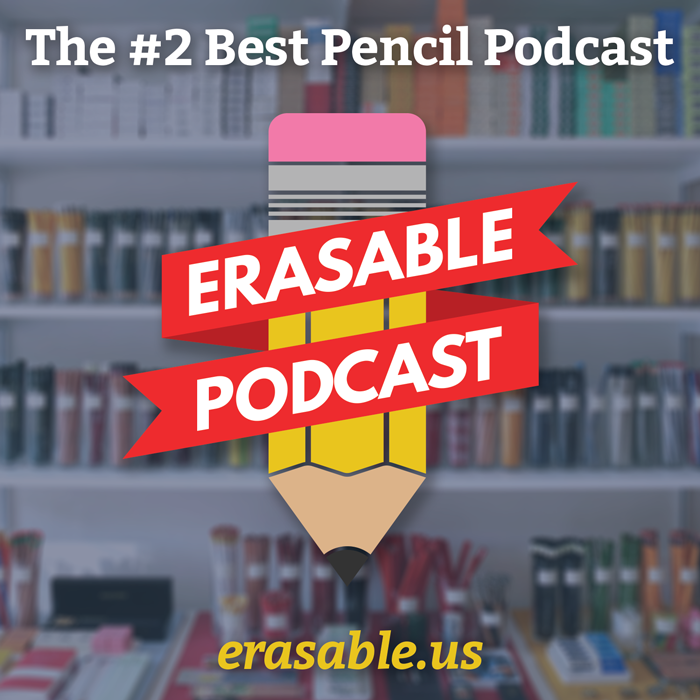 Because it relies on pressure against the surface of the screen, a pencil-topped eraser would be just as good as a finger, a pen cap, or anything touching it. But a capacitive screen, like on Apple devices and the majority of high-end smartphones, relies on the electrically conductive properties of objects, such as your finger. They made styli compatible with these screens, out of a conductive rubber. Of course, it’s high-grade, hard rubber that won’t rub off. Image from Pencils.com. What if we could make capacitive touch erasers for Palomino Blackwings? Any rubber experts around here? What if you could add the capacitive quality to something like a rubber or vinyl eraser? Better yet, what if we could make them the right size and shape to be replacement erasers for Palomino Blackwing pencils? Obviously, I have no idea how this technology works. The very thing that makes it capacitative might also make it not able to rub off, thereby erasing graphite markings. Or maybe the cost is too high to be able to sell at a reasonable cost. Anyone know anything about this technology? Is this doable? I’d thought about this too. I don’t know what the capacitance material would be–maybe just iron oxide?–but it does occur to me you’d probably need to omit the pumice abrasive that’s in most erasers. It would probably scratch the glass over time. I like the idea, one possibility would for the eraser to be two sided where one side was the nice pink eraser and then if you flipped it over you had a true capacitive material. I agree with David that the pumice material would probably be a no go.